Amanda Todd began her real estate career after being a stay-at-home mom a majority of her adult life. In May 2015, Amanda closed her first transactions and was blessed with fast success in real estate. With a love for the fast paced environment of real estate sales and unmatched determination to provide for her family as a single mother, she completed 100+ transactions in just over two years and landed on a national stage, dubbed the "Million Dollar Mom." 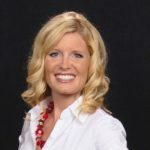 In order to support her desired growth, Amanda joined Keller Williams Realty in March of 2016 and created the Amanda Todd Group, focused on creating success in a team environment. Now with 17 Buyer's agents and a staff of 3, the Amanda Todd Group is the number 2 producing group for closed units in Northern California and Hawaii Region. With the Amanda Todd Group in place, Amanda has created the ability to focus on Luxury homes and selling properties all over the state of California. With 137 closings in 2016, Amanda has also landed an $8-million-dollar listing in Northern California which once closed will be the largest residential real estate transaction in the greater Sacramento area. Amanda recently took up competing in Ironman triathlons, and has developed a love for the intensity and commitment they require. Amanda has been regularly airing on a nationally syndicated TV show that will be featured on a major TV network. As the CEO of her own company, a triathlete and a busy single mother of three, Amanda is always on the go. She is also expanding her real estate group into other cities around the country. Look for the Power House Million Dollar Mom to show up to your town soon!